The University of Nottingham Men’s Basketball 1s will take on Nottingham Trent University in what is one of the spectacles of the entire 2019 Varsity Series. The game will take place at 8pm on Friday 29th March at Nottingham’s Motorpoint Arena which holds a capacity of 10,000 people ensuring that the atmosphere will be nothing short of Electric. When the two sides met in the 2018 Varsity Series Fixture, UoN were narrowly defeated 64-58 by NTU in what was a fiercely competitive match. 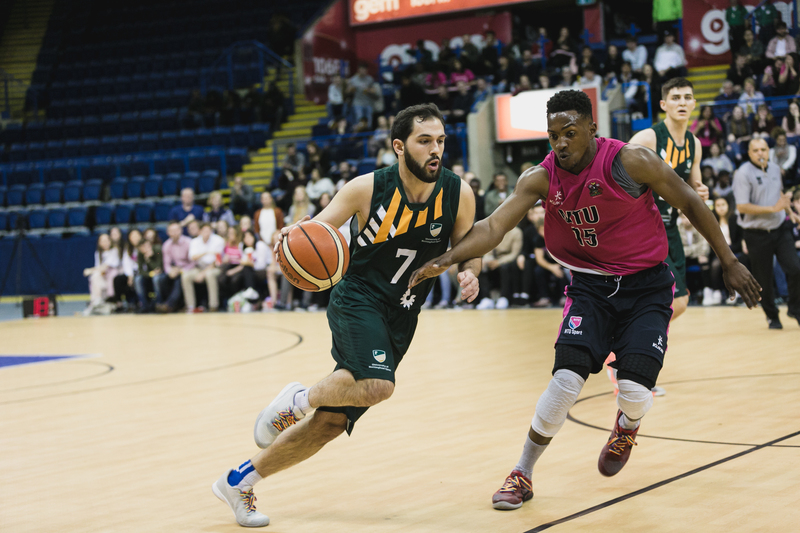 In fact, NTU have enjoyed a rather dominant spell over the Men’s Basketball Varsity Fixture in recent years, winning 80-70 in 2017 and 76-74 in 2016. Consequently, UoN haven’t won the Men’s Basketball Varsity fixture since 2015 where they comfortably saw off NTU 82-56. Will this be the year that UoN return back to winning ways? UoN have had a difficult season in their first season in BUCS Premier North, after last season’s success, winning the Midlands 1A league, finishing 6 points ahead of Varsity rivals NTU and then winning the playoffs to secure promotion to the BUCS Premier North. UoN finished the season in joint 5th place with Manchester Met 1s having won only 2 games and lost 8. NTU have had an equally tough league season. After winning the 2018 Varsity fixture and winning the 2018 BUCS Trophy, promotion almost certainly looked on the cards for NTU this season. However, after accumulating 5 wins and 5 draws NTU finished in 3rd place in the Midlands 1A league, 12 points of top of the table Worcester. That being said, the momentum is perhaps with NTU, whilst their league campaign has not been what they may have expected. NTU have progressed to the semi-final of the BUCS Trophy 2019 where a fixture with Queen Margret University is all that stands between them and a second consecutive BUCS Trophy final in as many years.